Each November, I seem to count my blessings a little more often. This year I decided to create a little Thankfulness Jar to collect daily notes of gratitude. I love how cute that turned out! Perfect color combo for Thanksgiving. I love the burlap & how simple & cute it looks! 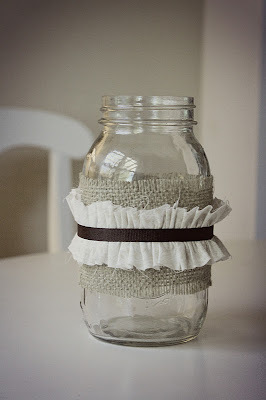 Very sweet and simple jar, with a big impact idea for it's use. so so pretty! what a neat idea!!! Goodness, who knew a simple jar could look so lovely! 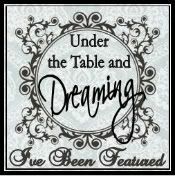 I'd love for you to come link up to my new party, the Head to Head Showdown, at www.icantstopcrafting.blogspot.com! I too count my blessings daily. 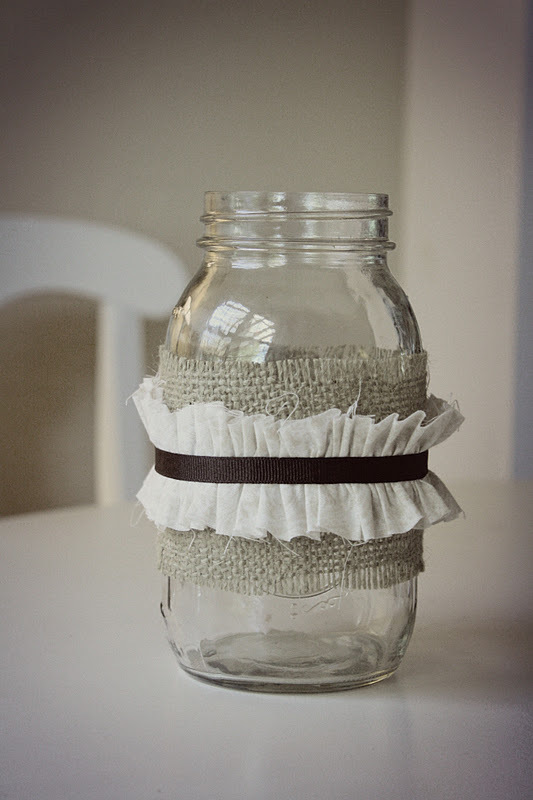 I have made a gratitude journal before, but the jar idea is sweet. Anything with burlap can't be bad. lol! Hopped over from one tough mother. Now a new follower. Great idea. Would love to do this with my kids. I love your burlap jar! I'm a huge lover of burlap and just pinned this on one of my "burlap" boards. Found you via TT&J's Wrap Up Party and I'm your newest follower. Simple, but beautiful ... I love decorated jars. I have a whole collection in pinterest. Greetings from me and the Czech Republic. Very pretty. Thank you for linking up to More the Merrier Mondays.